For me, the morning coffee ritual is the perfect way to explore people’s character and behavioural patterns. It’s the time of the day when you engage all of your pure individuality in the attempt not to burst under the influence of morning crankiness and half-opened eyes. And how people manage those tempting 10 minutes for preparing the coffee and those holly 20 for drinking it, tells a lot about them. For instance, are you a person who promised herself that she is going to be religiously devoted to detoxifying her body, extreme exercise and a number of salads for breakfast, lunch and dinner, but you forget all that in the morning when that smell of freshly brewed coffee tempts you to sweeten it with one small teaspoon of white, refined sugar and you do it? Or maybe you’re the type of person who actually likes unsweetened coffee? The first group I can understand, it happens to all of us devoted healthy life-stylers, but the second one not so much, so I’m just not going to get in that discussion because I simply don’t get you guys. Now, let’s discuss morning coffee sweeteners. It would be a real shame to allow one small teaspoon of artificial sugar to defeat our Sisyphean efforts to stay healthy and keep junk food away from our body. Luckily, that doesn’t have to be the case. Nowadays, there is an entire palette of products that can replace sugar, such as stevia, coconut cream and amazing xylitol discount actions that offer to deliver the product to your doorstep. Oh, the beauty of home delivery. Xylitol – if you want to avoid the dentist! I know that giving up sugar is a really hard thing to do, but that’s why we’re starting with baby steps: morning coffee. 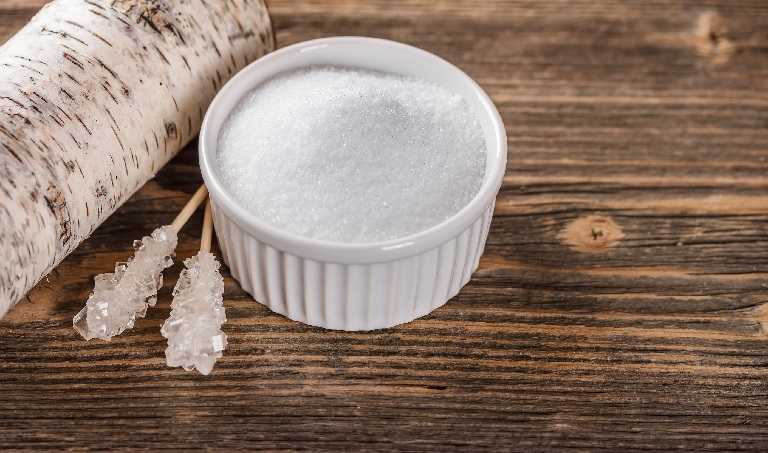 For starters, artificial sugar has a number of detrimental effects on your entire organism, but let’s focus on your teeth: it causes cavities that eventually will cause your teeth to fall. That’s a reason enough to start hunting for those xylitol discount offers through online or offline stores, right? Xylitol can’t be digested by the bacteria in your mouth and therefore, it can’t cause cavities. It may taste like mint the first few times before you get used to it, but hey, a mint-flavoured coffee? Yes, please. I am going to concentrate on xylitol because I recently tried it and I must say I am so proud of myself. I am still getting accustomed to the minty taste though, so I am warning you in advance, it’s going to take some time. Point is, it’s very beneficial for your teeth health and overall body health, as my research has shown. Xylitol is a natural sweetener derived from birch trees or corn stalks. It’s really low in calories as it has only 1/3 of what sugar has and it has a very low glycemic index. The corn stalks used for its production are mainly GMO-free as it states on the package, which is what you should be looking for when you get yours. It’s mainly used as a 1-for-1 in substitution with sugar and it really sweetens drinks (besides coffee, you can use it for cocoa and tea as well). There’s one downside you should be very cautious about: it’s poisonous for dogs, so if you have one, make sure it never gets in touch with anything with xylitol in it. All in all, I liked my morning coffee sweetened with xylitol. I get to fly away the morning confusion and genuine hardness to get my engine to work, and I get to stay true to my decision to be healthy and not consume junk food. It really is true: big results start with baby steps.